Our pet-friendly Econo Lodge hotel is easy to find, easy to book and easy on your wallet. Amenities include free WiFi, free continental breakfast, free parking, a 24-hour receptionist and bus and truck parking. 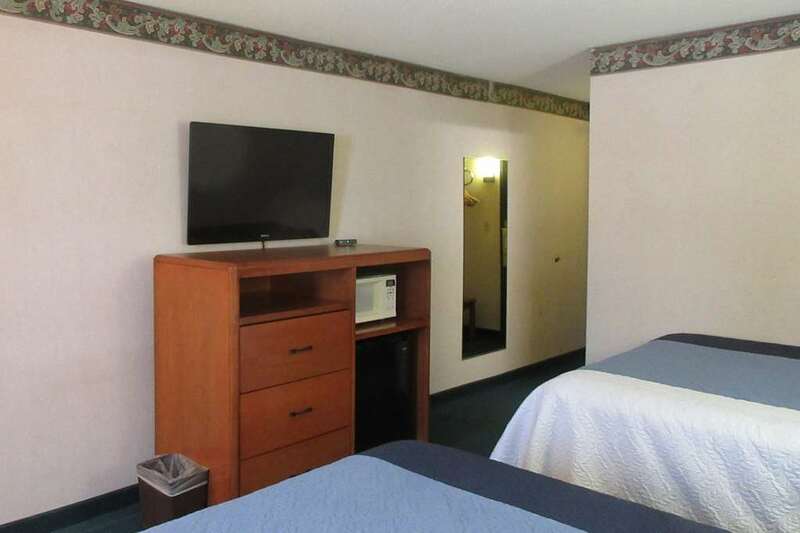 Guest rooms feature microwaves and refrigerators, premium bedding, coffee makers and flat-screen TVs. We are an easy stop on the road only minutes away from snowmobile and ATV trails, restaurants, recreational areas and local businesses. Additional attractions nearby include Potato River Falls, Iron County Historical Museum, Ironwood Area Historical Society, Black River Harbor Pavilion and Mt. Zion Ski Hill. Plus, you earn rewards with our Choice Privileges Rewards program. Pets allowed, Max 30 lbs, 2 pets per room.